There are so many options when it comes to baby products and wipes is no different. Over the past few months I’ve been looking into chemicals and the issues they may pose with our little ones. Chemicals and toxins are everywhere, so I thought I’d start by making better choices on what products I use on the skin of my little one. I really wish I’d looked into this further as a new mum, but with all of the information and massively steep learning curve I simply went on recommendations from others. Here are the main “Nasties” you may like to be aware of, so you can make an educated decision on what you are using. A preservative and leading cause of dermatitis, according to the Skin and Cancer Foundation, look for the full name or abbreviation, MI. In New Zealand, baby wipes containing IPBC have been recalled and the preservative, which was originally used in paint and wood finishing products, has been banned for use in baby wipes (but it’s still ok to be used in other personal care products — hmmm…). IPBC is an allergen and skin irritant that can cause dermatitis. It is also believed to be acutely toxic when inhaled (or, say, sucked by a bub who’s been handed a baby wipe to wipe the muck off her own face). This is a surfactant that can irritate baby’s skin and possibly cause damage to the eyes. Even though this is often derived from coconuts, it’s still one to avoid. Again, there’s a whole range of these, which are added to help the cleaning agents dissolve grease. This strips natural moisture from the skin. PEGs are also suspected to cause damage to organs and the immune system. Look for any ingredient that starts with PEG, usually followed by a number. Also on Swap4Good’s ugly list, this antibacterial ingredient is a known hormone disruptor and is restricted for use in Canada and Japan. Believed to be toxic to immune systems and sense organs, this should not be used anywhere near baby! Look for “antibacterial” on the packaging (unless the claim is “naturally antibacterial” with some kind of explanation why and how). There are some preservatives that release formaldehyde, which is a known carcinogen (cancer-causing). These include DMDM hydantoin and 2-bromo-2-nitropropane-1,3-diol, both of which are red-flagged by the EWG. These chemicals irritate skin, lungs and eyes, especially when used in contact with skin. There are thousands of ingredients in personal care products, including baby-wipes, that are derived from oil and gas and fall under the category of petrochemicals. Issues with these ingredients range from smothering skin, to stripping natural oils, to causing cancer. Meanwhile, other chemicals may be treated with a petrochemicals to make them less harsh, and this process can cause the byproduct 1,4-dioxane, which is bad news. You can hunt through ingredients for the letters “eth” and other signs of ethoxylation or simply look for “contains no petrochemicals” on the label. 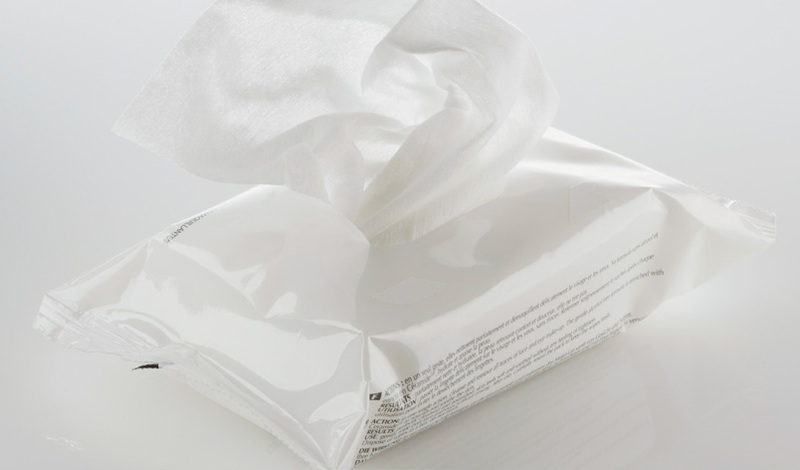 All other baby wipes contain harsh chemical ingredients – even the “sensitive” or “pure” ones. Check the back of the pack next time to see for yourself. chemically manufactured preservatives. Parabens have beenfound in breast cancer tumours. Our wipes are made in a highly controlled sterile environment and we use grapefruit seed extract as a natural biocide to keep the pack fresh (in case your fingers bring some bacteria to the during the change of baby). this is grease from animal fur, aka ‘wool fat’. It is used in shoe polish and rust-proof coatings. Needless to say, our wipes don’t have lanolin. it usually implies a mix of ingredients, possibly including phthatates. Babies need cleaning, not perfuming, We don’t use perfume in our wipe as it can inflame baby’ skin. a widely used range of chemically made preservatives (look for E211 & E212. The UK Food Commission qualified it as ” irritant to the skin, eyes and mucous membranes” – They are also linked to cancers and asthma. Not for our wipes either! a cancer causing antimicrobial agent (when combined with chlorine). It causes hormone disruption… No, that’s not one for baby’ skin! Or mine for that effect! From Birth the hospital recommended a dry wipe with water. We used Renyard Dry Wipes and simply kept a spray bottle of water on the change table. These were super easy and effective at home but not so great on the go. They are super soft and thick and generally come out one at a time. Good Thickness and nice and wet, they don’t have a texture on the sheet, which I really loved on the eco wipes. These are available in more health shops, so are easier to get than some of the other “better choice” wipes. These claim to be “The worlds purest baby wipe” I like these because I can easily pick them up from coles with the rest of the shopping, so convenience wins! These wipes are not bio degradeable like Ecooriginals or wotnot. But are thick, do the job without the nasties. Because they are preservative free, they recommend using the pack within a month of it being opened, we’ve not ever had a pack last that long at our house, so it’s not an issue! Alexx Stuart in her Top 5 tips for bringing up a low tox bub suggests for wipes, she’s loving the new eco originals range as a portable solution and at home, a washable microfibre cloth with olive or avocado oil and water to keep skin protected. Can you flush baby wipes? Unless you use a brand that states they are flushable – don’t do it or you may end up having a chat with your plumber as they are not designed to breakdown when flushed. There you have it, there’s more to wipes than meets the eye. Have you found a wipe that stacks up with no nasties? Let us know in the comments what your favourite “safe” natural baby wipe is? Starting solids: An experience that is bound to produce the first of many grey hairs.